On Sunday, 02 February 2014, E. M. Z. (18), from Rafah, died after she was admitted to Abu Yusef al-Najjar Hospital as she fell into a coma during a Quran therapy session. According to the statement of the girl's uncle to a PCHR's fieldworker, E. Z. had been having speech disorders and had been unable to move for 5 months. Her health condition deteriorated gradually until she stopped going to school, when she was a student in the 12th grade. He added that the girl's family took her to a number of doctors for treatment, but there were no signs of progress. As a result, they resorted to a Sheikh who claimed that he had the ability to treat people with Quran. At approximately 12:00, on 02 February 2014, Sheikh E. 'A. Z. went to the girl's house and started a therapy session that lasted until 17:00, during which he recited Quranic prayers. He also offered the girl salt and an unidentifiable substance dissolved in water. He claimed the mixture was against spells. The girl refused in the beginning to drink it, but the Sheikh obliged her to do so with the help of her brother. After she drank the mixture gradually, she fainted. She was taken to Abu Yusef al-Najjar Hospital while she was in coma. The doctors failed to revive her and pronounced her dead 10 minutes later. Her uncle said the General Prosecution ordered referring the girl's corpse to the forensic department to identify the cause of death. On Monday, 03 February 2014, the corpse was examined at the forensic department. Initial examination showed the existence of extra salt in the digestive system. The final forensic report will be issued a week later. It should be noted that the Palestinian police detained the Sheikh pending case. They discovered that he was detained earlier and pledged before the Criminal Police to not return to Quran therapy. 3. Demands the Ministry of Health to verify the legal measures for the practice of medicine in conformity with the law and to close all clinics or other societies that claim offering physical or mental health services without obtaining the license needed to practice or open a health institution. Palestinian Education Ministry in occupied West Bank has issued a report documenting Israeli violations against the education system in 2013. The report confirmed that Israeli occupation forces killed three Palestinian students and arrested 175 others and 7 teachers last year, in addition to injuring 195 students and teachers. The report stated that 32 teachers and 50 students were arrested for several hours in Israeli detention centers last year. Education has been suspended in nine schools in the West Bank due to Israeli daily raids and curfews, preventing 2,045 students from reaching their schools and 173 teachers from reaching their work places. 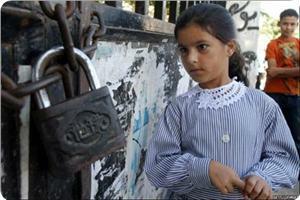 Classes were also partly suspended in 34 schools due to the Israeli checkpoints erected throughout the West Bank. According to the report, 98 schools were subjected to frequent Israeli attacks and fire, which led to a state of panic among students. The report outlined that 1,581 courses were cancelled due to Israeli violations at the expense of more than thirteen thousand students. The Israeli military is severely harming livelihoods in a Palestinian village in the West Bank that it plans to turn into an archaeological tourist site. The military should drop the project and lift excessive restrictions that keep residents from building or farming on their land and that limit their freedom of movement. The Israeli daily Haaretz reported on June 18 that officials from the military’s Archaeological Staff Office, in the Civil Administration division, removed a 200 - 300 year-old stone, inscribed in Arabic, from the wall of the Nabi Samwil mosque in May. The military archaeologists removed the stone without consulting the residents or the Muslim waqf, or endowment, which owns the mosque site. 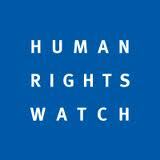 Human Rights Watch observed informational plaques set up by Israeli authorities at the site that refer extensively to the site’s Jewish history and religious significance, but contain only passing reference to its Muslim heritage. Human rights statistics showed that 21 Israeli shooting incidents happened to Palestinian fishermen in the Gaza Strip last January. The Palestinian center for human rights stated in a recent report that it had documented more than 24 assaults by the Israel navy against Gazan fishermen last month, including 21 shooting incidents. In one of these shooting incidents, one boat sustained damage, according to its report. The Israeli navy also detained three fishermen, including a child, during two separate pursuit incidents off the Gaza coast, and confiscated one boat in addition to fishing gear and equipment. The center noted that despite Israel's decision to extend the fishing zone from three to six nautical miles, but its naval forces kept harassing and attacking the Gaza fishermen even within a range of three and two nautical miles. Under the Oslo accords, the fishing range was 20 nautical miles. 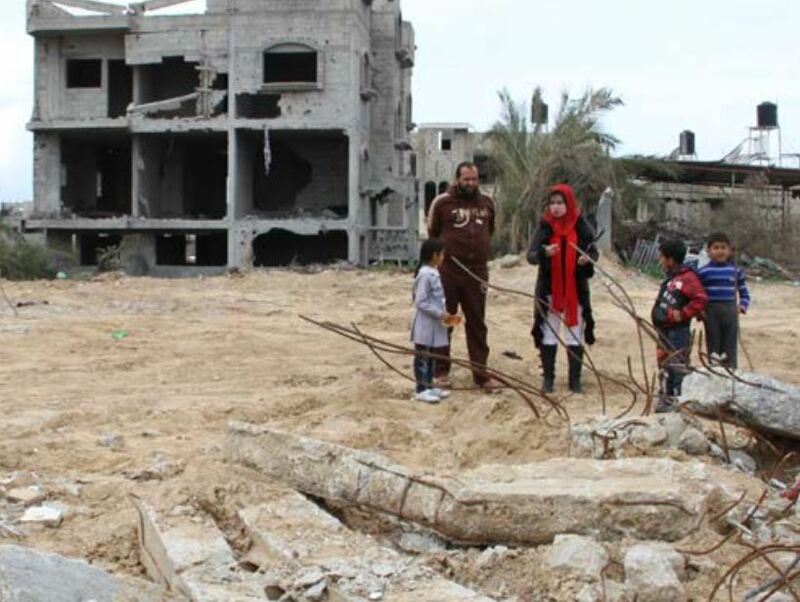 However, over the years, the Israeli army gradually reduced this range, severely damaging the livelihood of thousands of families and the availability of this basic and inexpensive food in the markets of the impoverished Gaza Strip. An extensive report that included thousands of IDF soldiers, officers, and NCOs has shown that one of every eight women soldiers reported that they were sexually harassed in 2013. The report was presented Monday at a conference at the Knesset on the status of women, by the women's affairs advisor to the IDF, Rachel Tevet Wiesel. The data point, however, to a decrease in the reports of sexual offenses, as one of seven women soldiers had reported such assaults in the previous year. The majority of victims did not file official complaints. Despite the drop, when calculating the general number of reports of sexual misconduct – including male victims – the number of soldiers who endured sexual offenses in 2013 stood at 561, compared to 511 in 2012. Tevet Wiesel said that the increase does not necessarily indicate a rise in the number of offenses, as it could also be attributed to an increase in awareness to sexual harassment and assaults. The percentage of men soldiers reporting to have been sexually harassed stood at 9% in 2013, a 5% increase from 2012. According to the data, 49% of the victims reported physical harassment and 51% verbal assault. Around 4% of the victims said that they had been raped. The issue of sexual misconduct in the IDF has drawn heated debates over the past year, mainly following the convictions of two high-ranking officers for assaulting women soldiers. Both officers were sentenced to community service. Chairwoman of the Knesset Committee for the promotion of gender equality, Yesh Atid MK Aliza Lavie, said she was disconcerted by the military advocacy's mitigated sentences. Tevet Wiesel stressed that in 2012, the IDF set up a help center that allows soldiers to report misconduct without officers' intervention. Representative of the Judge Advocate General, Sharon Zagagi Pinchas, admitted that the sentences were lenient, but insisted that the two incidents were extraordinary and that appeals were filed in both cases. On 01 February, 2014, the report "Under Fire" was issued by the Palestinian Centre for Human Rights (PCHR), and the Internal Displacement Monitoring Centre (IDMC) was launched in London. The report addresses the Israeli violations in Access Restricted Areas (ARA), in the Gaza Strip. It highlights the suffering experienced by civilians, farmers and fishermen due to restrictions imposed on the freedom of movement in those areas, the frequent targeting of civilians with live ammunition, house demolitions and restrictions imposed on fishing areas. The report was launched in London, and lawyer Raji Sourani, Director of PCHR, participated in the event via Skype. The report reveals the negative impacts of the imposition of the ARA in land and sea along the border area. The report highlights the farmers inability to access their lands, totaling 62.6km2, i.e. 35% of the agricultural lands in the Gaza Strip, or 17% of the whole area of the Gaza Strip. The report also addresses the Israeli denial of the right to fish in 85% of the fishing area according to Oslo Accords. Statistics and data are provided on the losses in lives and property due to the Israeli practices in that area. The report also tackles the financial and economic loss that afflicts civilians, farmers and fishermen and which is further exacerbated by the closure. The report indicates that the cease-fire agreement between Israel and Hamas in 2012 did not help in altering the situation in ARA. The report draws attention to the fact that Israeli forces use live ammunition when targeting civilians in the ARA without taking into consideration the principles of distinction and proportionality, which is considered a grave breach of the Fourth Geneva Convention. The report emphasizes that Israel does not respect the international standards related to the use of force and, in many instances, directly resort to the use of lethal force. Finally, the report brings to light that many relief foundations fail to understand the nature of the suffering of the ARA residents. The relief foundations' main focus is on finding shelter for residents whose houses have been demolished, without paying attention to their real loss (homes and livelihood) or addressing the underlying cause of this; the ARA policy imposed by the Israeli authorities. 9- Oblige Israel to comply with international law. The Palestinian prisoner center for studies said that the Israeli occupation forces (IOF) detained more than 400 Palestinians last January in the West Bank, Jerusalem and the Gaza Strip. In a report on Saturday, the center affirmed that 75 children and minors, and eight women were among the detainees, noting that most of the detentions took place in the West Bank and Jerusalem, and only seven were kidnapped from Gaza. According to its report, the IOF carried out its detentions in the West Bank and Jerusalem during 260 security campaigns in cities, villages, towns and refugee camp. The report did not state whether some of the detainees are still in detention or have been released. The report noted that a 16-year-old minor from Jerusalem named Obeida Amer went on hunger strike for two days during the reporting month in protest at his transference from Ofek jail to another prison used for adult detainees imprisoned for security issues. The Israeli prison authority, in turn, carried out 17 raids on rooms and sections in its jails last month, during which prison soldiers suppressed prisoners, wounded three of them and locked up 16 others in solitary confinement. The number of Palestinian hunger strikers rose to six detainees after two prisoner patients Hosam Amr and Mousa Sufan declared their hunger strike last month to protest their isolation in solitary confinement for five months and to demand appropriate medical care. The Israeli occupation authority also issued more than 38 administrative detention orders against Palestinians and extended the administrative imprisonment of over 26 others last month. The Ahrar center for prisoner studies and human rights said that Israeli occupation forces killed six Palestinians and arrested 383 others in January 2014. 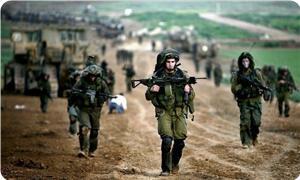 The center said in its monthly report on Saturday that the six victims fell in Gaza and the West Bank. It pointed out that five of them were killed in Gaza while the sixth was Mohammed Mubarak from Jalazoun refugee camp, who was killed a few days ago west of Ramallah. 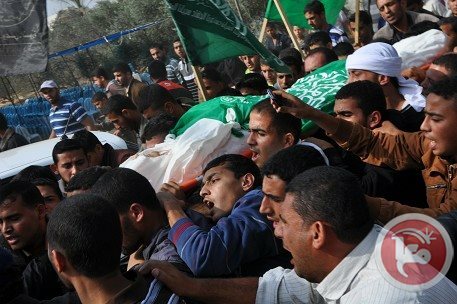 Israeli forces killed six Palestinians and injured 41 in attacks on Gaza in January, a ministry official said Saturday. Ashraf al-Qidra, spokesman for Gaza's Ministry of Health, said in a statement that "the Israeli occupation intensified airstrikes against unarmed civilians, particularly in the eastern Gaza Strip" in January. The statement pointed out that a large number of the injured were children. The health sector in the Strip has been suffering a severe shortage in medicines and medical equipment, al-Qidra added. Israeli army figures show nine rockets have struck Israeli territory since Jan. 1, and another five were intercepted by the Iron Dome anti-missile system. None of the rockets caused injuries. In its Weekly Report On Israeli Human Rights Violations in the Occupied Palestinian Territories for the week of 23- 29 January 2014, the Palestinian Center for Human Rights (PCHR) found that this past week, Israeli forces killed 2 Palestinian civilians and wounded 12 others in the West Bank and Gaza Strip. PCHR also documented 5 shooting incidents along the border fence and 2 others at Palestinian fishing boats. In the West Bank, on 29 January 2014, Israeli forces wilfully killed a Palestinian labourer from a distance of around 50 meters. 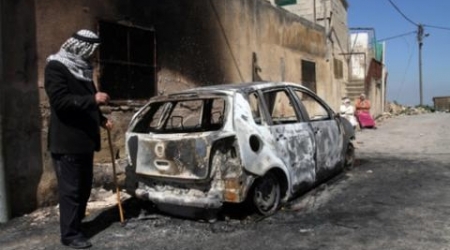 Israeli forces conducted 73 incursions into Palestinian communities in the West Bank. 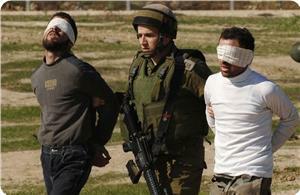 At least 42 Palestinians, including 6 children, were abducted. Israeli forces established dozens of checkpoints in the West Bank. At least 10 Palestinian civilians, including 4 children, were abducted at checkpoints in the West Bank. Israel is continuing to create a Jewish majority in occupied East Jerusalem. 5 houses were demolished and 24 persons, including 13 children, were made homeless. In the Gaza Strip, in an excessive use of lethal force, Israeli forces killed a Palestinian civilian in the northern Gaza Strip. According to investigations conducted by the PCHR, at approximately 15:40 on Friday, a group of young men gathered in Bouret Abu Samrah north of Beit Lahia near the border with Israel and approached the border to throw stones at the Israeli forces stationed there. Israeli forces then opened fire at them. As a result, Belal Samir Ahmed ‘Aweidah (20) from Beit Lahia was killed immediately by a bullet to the chest. A number of young men carried him on their shoulders and took him on a motorbike to al-Shaimaa’ area. A civilian car took him from the aforementioned area to Martyr Kamal 'Adwan Hospital in Beit Lahia. He was admitted to the Intensive Care Unit, where it was declared that he died soon after he got injured. His cousin, Akram Sha’aban Ahmed ‘Aweidah (20) said to a PCHR fieldworker that at approximately 15:00 on Friday, 24 January 2014, he got out of his house with Belal and their friend, Nour Mohammed Sa’id Qaza’er (19) on his motorbike for promenade, north of Bouret Abu Samrah, and it took them 15 minutes to reach the area. They stopped 1,000 meters away from the border and then took some photos for themselves in the green areas and on sand dunes. They again went on the motorbike and stopped a few meters away from the aforementioned border to take other photos. The area was very calm, so they sat on a sand dune. On 24 January 2014, 5 civilians were wounded when Israeli forces stationed along the border fence, east of Jabalia, opened fire at a group of young men, who were present near the fence in an attempt to throw stones at Israeli soldiers. In addition, Israeli forces conducted 3 other shooting incidents along the border fence on 25, 26 and 27 January 2014, but no casualties were reported. Israeli navy forces continued targeting Palestinian fishermen in the sea. 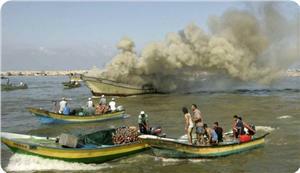 Israeli naval forces opened fire twice at Palestinian fishing boats and one fishing boat sustained damage. The illegal closure of the Gaza Strip, which has steadily tightened since June 2007 has had a disastrous impact on the humanitarian and economic situation in the Gaza Strip. The Israeli authorities impose measures to undermine the freedom of trade, including the basic needs for the Gaza Strip population and the agricultural and industrial products to be exported. For 7 consecutive years, Israel has tightened the land and naval closure to isolate the Gaza Strip from the West Bank, including occupied Jerusalem, and other countries around the world. This resulted in grave violations of the economic, social and cultural rights and a deterioration of living conditions for 1.7 million people. The Israeli authorities have established Karm Abu Salem (Kerem Shaloum) as the sole crossing for imports and exports in order to exercise its control over the Gaza Strip’s economy. They also aim at imposing a complete ban on the Gaza Strip’s exports. Israeli forces continued to support settlement activities in the West Bank and Israeli settlers continued to attack Palestinian civilians and property. Israeli forces uprooted 1,000 olive trees in Qana valley, northwest of Salfit. Settlers levelled lands in the south of Bethlehem. On 23 January 2014, Israeli forces uprooted in Qana Valley area 1,000 olive trees belonging to the residents of Deiristayah village, north of Salfit. Those trees levelled from Kafet al-‘Amoud in Qana Vallet belong to ‘Abdel Karim Ahmed Hussein; Qasem Naser Mansour; and ‘Abdel qader Ref’at Abu Hajlah. On 24 January 2014, settlers from “Kermayel” settlement established on al-Hazaline lands in Kherbet Um al-Kheir, east of Yatta, south of Hebron, moved into the lands of the aforementioned family. Settlers insulted and threw stones at farmers from al-Hazaline family. They prevented them from grazing their sheep and denied them access to the water wells in the farmlands adjacent to al-Kherbah. On 25 January 2014, settlers from “Beit ‘Ein” settlement, west of Beit Ummar village, north of Hebron, attacked farmers in their lands in Abu al-Rish Valley area. Settlers threw stones at them and insulted them. They threatened settlers in case of returning to their lands. As a result, they fled from the area in fear for themselves and their sons. On 26 January 2013, around 15 settlers from “Afrat” established on the lands of southern Bethlehem, worked in 700-square-meter agricultural lands belonging to civilians from Rahal Valley village. Settlers dug with hand tools under the protection of the Israeli soldiers and police, who detained journalists who were covering the events in the area. 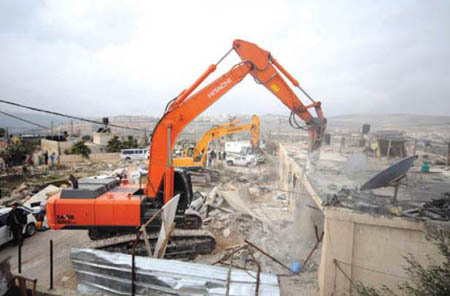 On 28 January 2014, settlers from the settlements established to the south and west of Kisan village, east of Bethlehem, levelled 70-square-meter agricultural lands belonging to civilians from the village under Israeli forces’ protection. Israeli forces used excessive force against peaceful demonstrations organised by Palestinian civilians, international and Israeli human rights defenders in protest at the construction of the annexation wall and settlement activities in the West Bank. 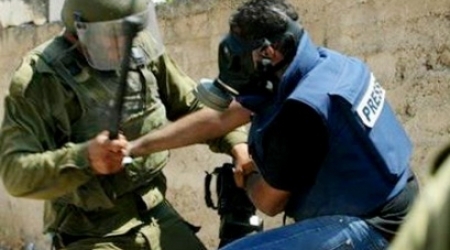 7 Palestinian civilians, including a child and a journalist, were wounded. Following the Friday Prayer, 24 January 2014, dozens of Palestinian civilians and international and Israeli human rights defenders organised a peaceful demonstration in Bil’in, west of Ramallah, in protest at the construction of the annexation wall and settlement activities. Demonstrators took the streets raising the Palestinian flags and headed to the liberated territories near the annexation wall. Israeli forces had closed all the entrances of the village since the morning in order to prevent Palestinian and international activists and journalists from participating in the demonstration. Demonstrators marched adjacent to the cement wall and tried to cross the fence before Israeli forces that are stationed behind the wall, in the western area, and a large number of soldiers deployed along it, fired live bullets, tear gas canisters, rubber-coated steel bullets, sound bombs and skunk water at them and chased them into the olive fields. As a result, 2 protestors were wounded. Moreover, dozens of demonstrators suffered tear gas inhalation, and others sustained bruises as they were beaten up by Israeli soldiers. A 19-year-old civilian sustained a bullet wound to the left foot; and a 38-year-old civilian sustained a bullet wound to the right hand. On the same day, dozens of Palestinian civilians organised a peaceful demonstration in the centre of Ni’lin village, west of Ramallah, in protest at the construction of the annexation wall and settlement activities. Demonstrators took the streets and headed to the annexation wall. Israeli forces closed the gates of the wall with barbwires and prevented the demonstrators from crossing to the land behind it before they responded by throwing stones. Around the same time, dozens of Palestinian civilians and Israeli and international human rights defenders organised a peaceful demonstration, in protest at the construction of the annexation wall and settlement activities, in Nabi Saleh village, southwest of Ramallah. Demonstrators took to the streets raising the Palestinian flags and chanting slogans against the occupation and in support of the Palestinian unity resistance, and then they headed to the lands that the settlers are trying to rob by force near “Halamish” settlement. Israeli forces closed all the entrances of the village since the morning to prevent Palestinian and international activists and journalists from participating in the demonstration. When they arrived at the land, demonstrators were met by live bullets, tear gas canisters, rubber-coated steel bullets, sound bombs and skunk water and were chased into the village. Following the Friday prayer, dozens of Palestinian civilians and international and Israeli human rights defenders organised a peaceful demonstration in Ma’assara village, in protest at the construction of the annexation wall and settlement activities and in solidarity with al-Yarmouk refugee camp. The demonstration started in front of the Candles Cultural Centre in the centre of the village. Demonstrators moved in the streets raising the Palestinian flag. When they arrived at the area where the annexation wall is established, Israeli forces started firing tear gas canisters in attempt to disperse them and prevented them reaching the annexation wall. Israeli forces detained activist Iyad Ali Zawahra (33) for 2 hours and released him later. At approximately 12:30 on the same day, Palestinian civilians and international activists organised a peaceful demonstration in the centre of Kufor Qaddoum village, northwest of Qalqilia, and headed towards the eastern entrance of the village, in protest at the continued closure of the entrance with an iron gate, since the beginning of the Aqsa Intifada (2000). Clashes erupted between the demonstrators and Israeli forces that fired sound bombs and tear gas canisters to prevent them from reaching the aforementioned gate. The Popular Committee against Settlements in the village said to a PCHR fieldworker that Israeli forces used for the first time new tear gas, which is distinguished with its speed, the force of collision, size, and the gas density emitted. As a result, 5 civilians, including a child and a journalist, were wounded. A tear gas canister fell on a house belonging to the family of Murad Mahmoud Ishteiwi. As a result, his 2-month baby girl, Bisan Ishteiwi suffered tear gas inhalation and the curtains were burnt after the canister entered the house and smashed the window. Of those wounded persons was Ja’afar Ishtayyah (45), a cameraman at the French News Agency, as he was hit by a gas canister to the back. A 44-year-old civilian sustained a bullet injury to the back; a 14-year-old child sustained a bullet injury to the right foot; a 21-year-old was hit by a canister to the abdomen; and a 35-year-old civilian was hit by a canister to the back. On Friday afternoon, 24 January 2014, dozens of Palestinian young men gathered at the western entrance of Selwad village, northeast of Ramallah on the road between Selwad village and Yabrod village near Street (60) threw stones at the aforementioned street. As a result, Israeli soldiers stationed in the area fired live ammunition, metal rubber-coated bullets, tear gas canisters and sound bombs at them and chased them to the village. Moreover, some civilians suffered tear gas inhalation. The number of anti-Palestinians attacks by right-wing activists in Israel rose from 18 in 2012 to 25 attacks in 2013, according to the annual Shin Bet security agency report released this week. The report revealed that four people had been injured in 2013 in right-wing attacks, as compared to six such injuries in 2012. No deaths were recorded. In 2013, 70 Jewish Israelis were indicted for harming Arab residents, whereas only 46 such indictments were recorded in 2012. Last year, 13 administrative restraining orders were also issued to restrict entry to the West Bank. Shin Bet excluded the " price-tag" offensives from the report , classifying them as incidents rather than attacks. Amir Peretz , Minister of Environmental Protection called on the Israeli occupation government to counter the offensives of "price tag" groups against Palestinians in the West Bank. Arab Organisation for Human Rights in UK warned of the rise in Israeli attacks against Palestinians in the west Bank. It has documented 30 attacks against Palestinians since the beginning of this year , it listed in its report the Israeli attacks against Palestinians' properties in the villages near Israeli illegal settlements , painting – printed racists slogans against Palestinians, and other attacks against Palestinians farmers and lands.